I’m going to cover two chapters in this blog. Both were easier to get through than one of the previous chapters. The good news is that I’m down to Chapter 8 (final chapter) plus and addendum! Chapter 6 – The Classics was a bit disappointing. 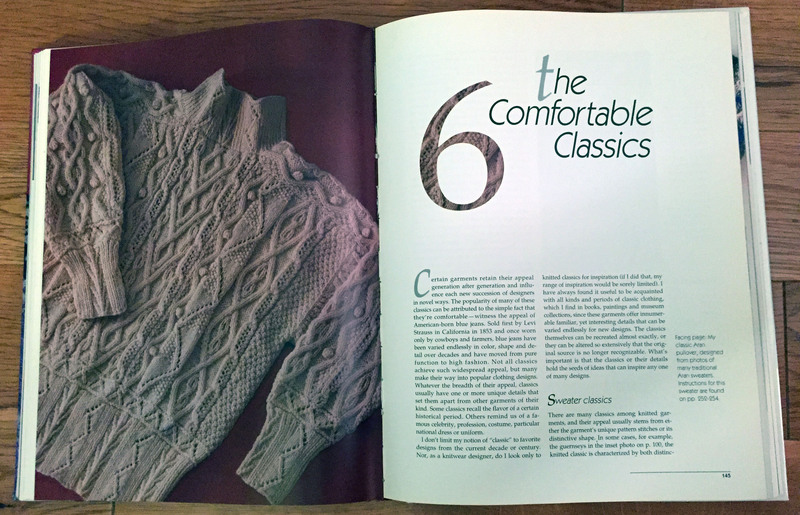 In the first couple of pages Deborah talks about what I call “real” classics – Aran pullovers, tennis sweaters, twin sets, Fair Isle sweaters and Icelandic circular-yoke sweaters. The rest of the chapter is an inspiration gallery that is not any of these classics. There is a section in this chapter on the sketching process that I found really interesting. I’ve never been able to sketch or draw and finding a way to break it down was an “ah-ha” moment for me. I liked Deborah’s inspiration on the classic Chanel jacket plus skirt. 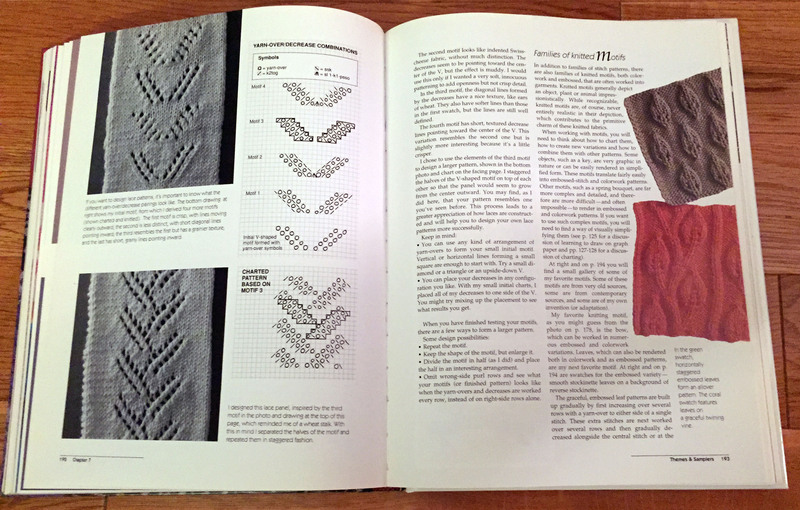 One of the non-classic ideas was the spread on making a Chinese robe. Beautiful knitting, but not so much what I’d call as classic. 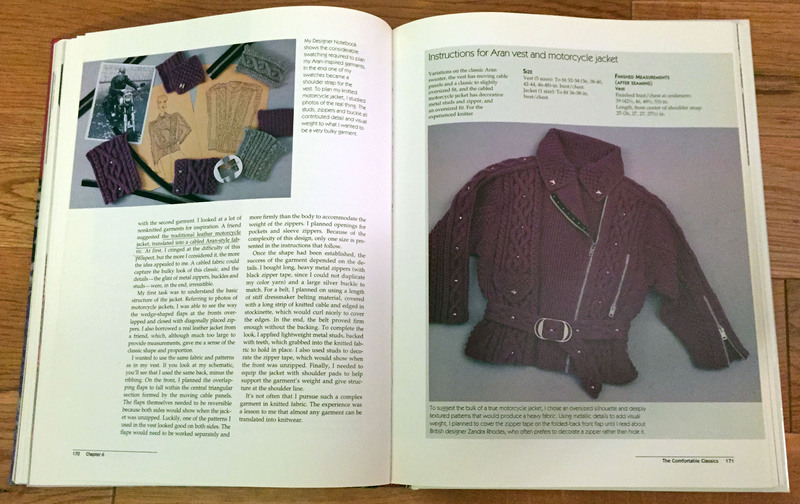 Chapter 6 ends with a knit motorcycle jacket. It’s an amazing accomplishment and it’s why Deborah Newton is such a fabulous designer! 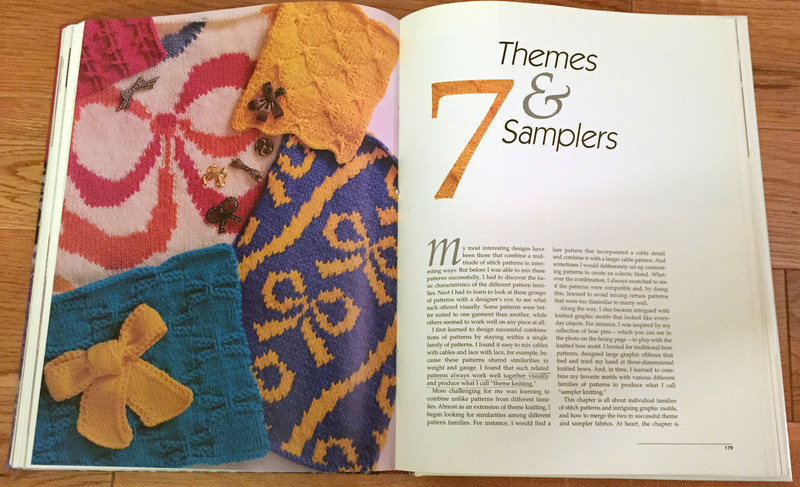 Chapter 7 is called Themes and Samplers, but I’d call it Stitches & Samplers as it’s all about various types of stitches and putting them together. I really liked the way Deborah introduces stitch types and talks about ways that the knitter can create their own version of this stitch. 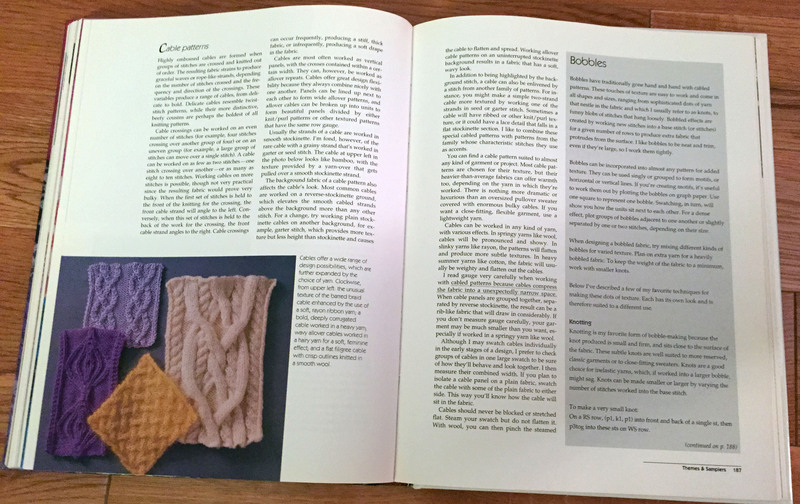 The first section is about slip stitches, twisted stitches, lace stitches, cables and bobbles. 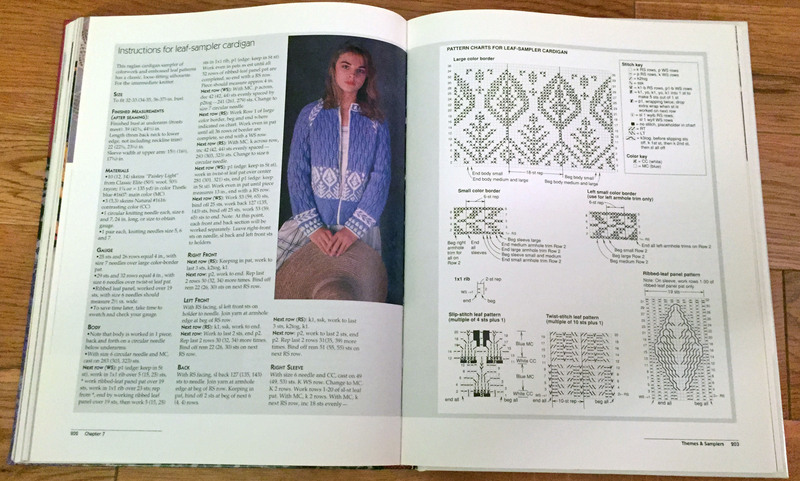 The section on creating your own cables and lace is really helpful in understanding how the stitches are formed. 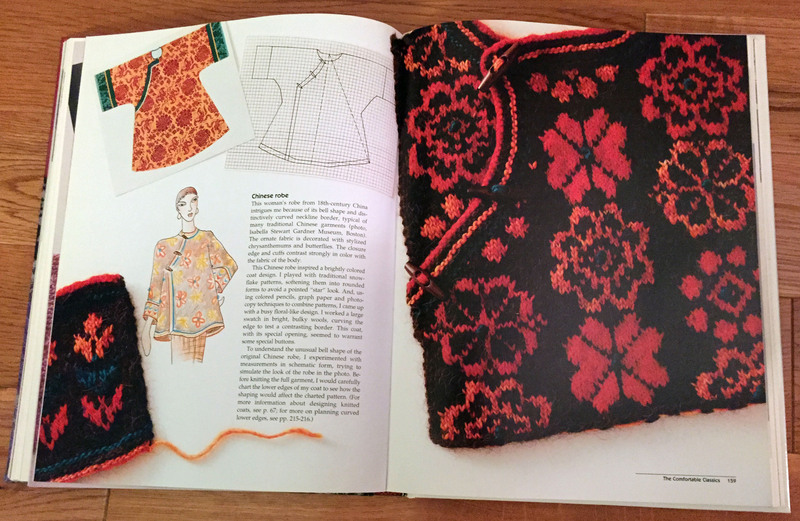 Chapter 7 ends with a sample of color work and embossed leaf patterns meshed together to create another one of Deborah’s masterpieces! 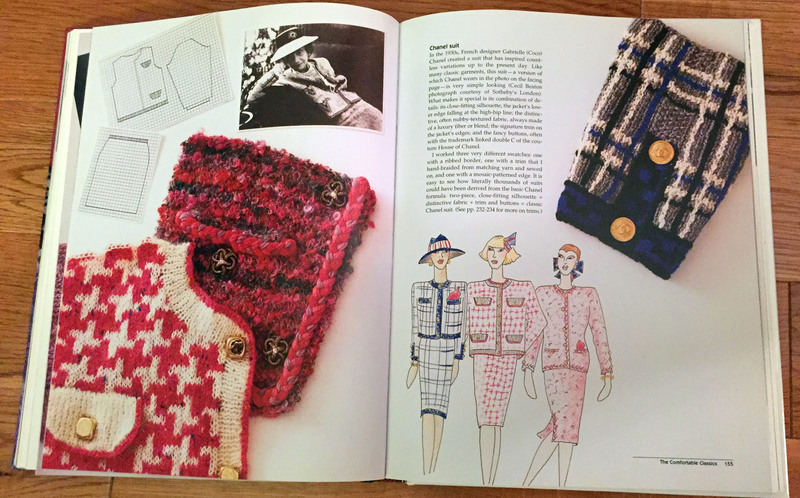 This entry was tagged Aran, bobbles, cables, Chanel suits, classic knitwear, Deborah Newton, Designing Knitwear, Fair Isle, Icelandic yoke sweaters, lace stitches, slip stitch patterns. Bookmark the permalink.